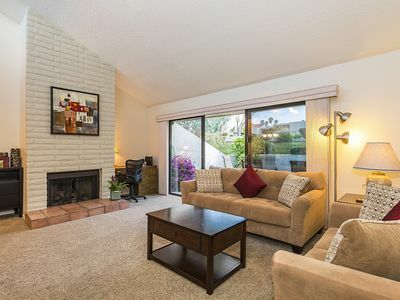 Newly updated and furnished 3 bedroom condo in desirable Palm Desert location, south of El Paseo. 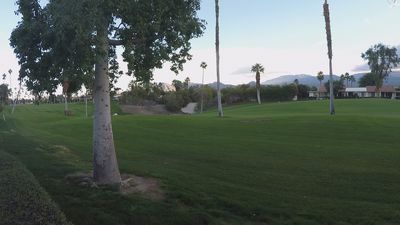 Enjoy the privacy of this small lushly landscaped community, in gorgeous Palm Desert, Ca less than a mile from restaurants, shopping, and entertainment. 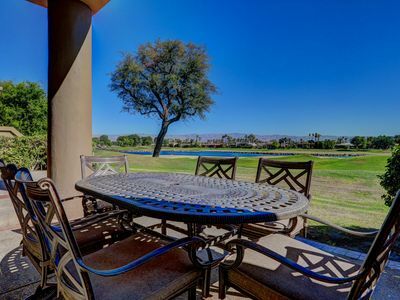 The living room of this spacious vacation condo in Palm Desert is appointed with comfortable furnishings and a 52"" flat screen Smart TV, Time Warner Cable, and WiFi ready DVD player so you can watch movies from YouTube or your Netflix account. 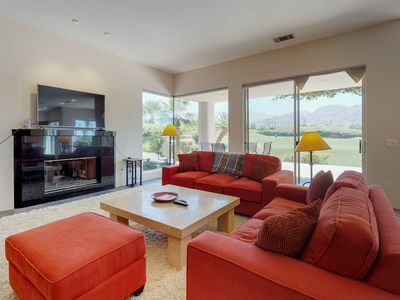 You'll find the living room is open to the dining room, with seating for up to 6, and features vaulted ceilings, a gas fireplace, and sliding glass doors opening out onto 2 private patios. 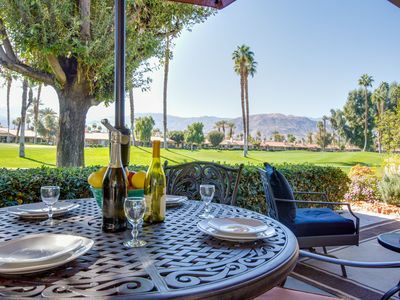 The kitchen of this lovely Palm Desert vacation rental condo has new stainless steel appliances and granite countertops. 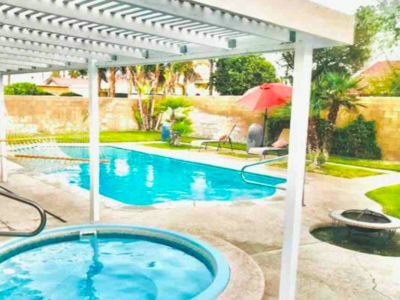 You'll find all the utensils, small appliances, and cookware you'll need to prepare gourmet meals or enjoy cocktails on the private courtyard patio with friends and family. 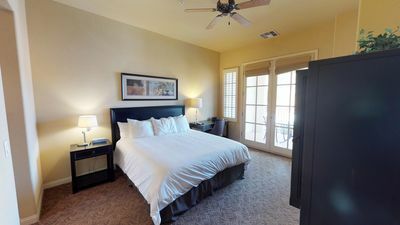 The master bedroom suite is a relaxing oasis in itself, with a cal king bed, seating area with 39"" TV and WiFi ready DVD player, direct access to the private courtyard patio, large walk-in closet, and ensuite bathroom featuring dual sinks and a walk-in shower. 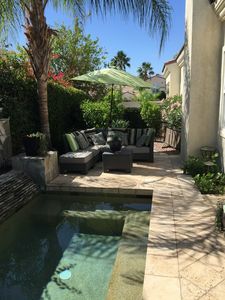 The 2 guest rooms in this Palm Desert vacation condo are comfortably appointed and both offer large closets and direct access to outdoor patios. 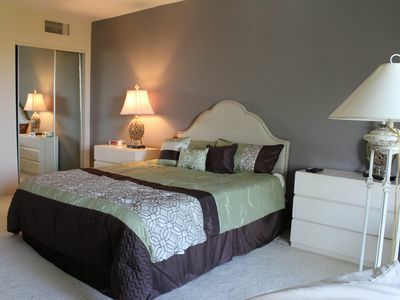 The first guest bedroom offers a queen size bed with 39"" TV and the second features 2 twin beds. Guests have access to a guest bathroom down the hall with one sink and a tub/shower combo. 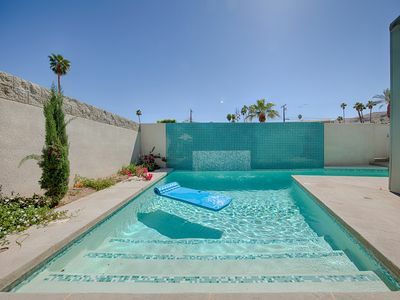 Enjoy the many great amenities this condo has to offer, like 2 car garage parking, iPod docking, free high speed WiFi, a washer & dryer in unit, and towels and linens provided. 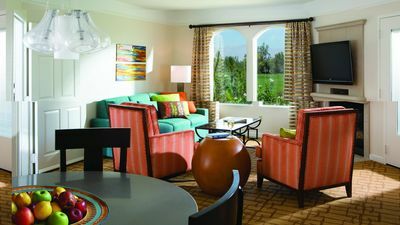 An Upstairs Legacy Villas Studio with a King Bed, Full Bath and Private Balcony! 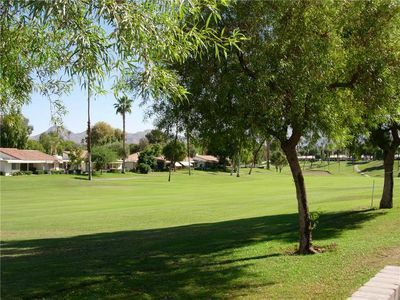 Great Location on Golf Course 2-Bdrm Condo! 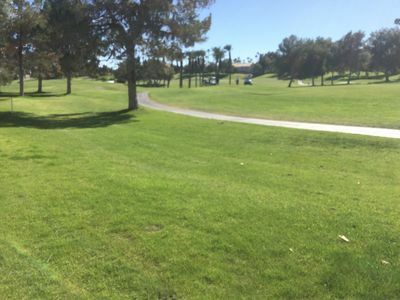 Q1306 - Casitas Las Rosas - Walk to Shops & Restaurants! Upper Unit. 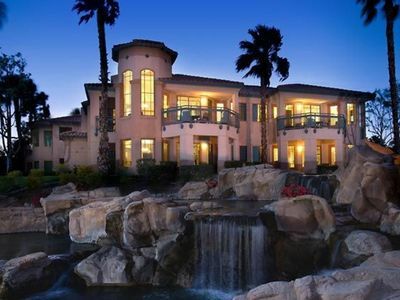 Summer Getaway! 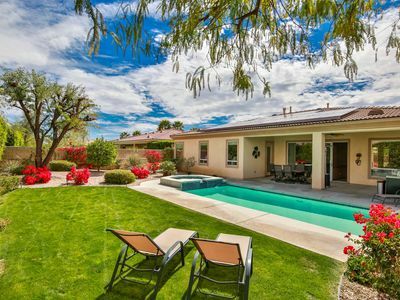 Beautiful & Spacious home, refreshing private pool/spa, large patio & BBQ! 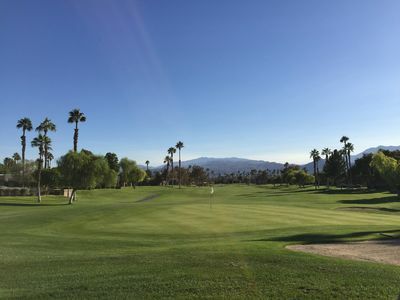 Enjoy Stagecoach at Westin Willows Luxury Resort w/ shuttle stop! 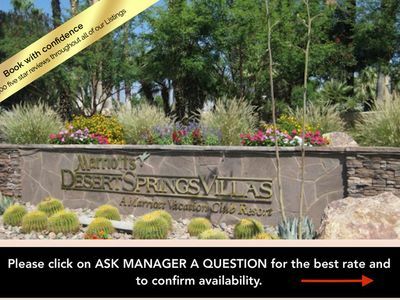 Fabulous Marriott Desert Springs Villas II 2 bed June 13-20th.